Two weeks after veteran Chicago-based media blogger Robert Feder reported it, ABC-owned WLS-TV has officially announced that meteorologist Larry Mowry will be leaving DFW’s CBS11 after eight years and heading north. 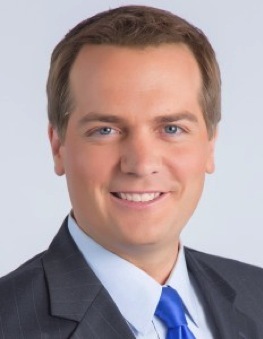 Mowry has been CBS11’s chief meteorologist since January, 2008. At WLS he will do the weather on the station’s Saturday and Sunday morning newscasts while also filling in on other editions, the station said. His first day will be April 11th. Mowry, a Loudonville, Ohio native, previously worked the weekend shift at WLS in 2004. It’s not a major jump in market size. Chicago is the nation’s third largest TV market and Dallas-Fort Worth is No. 5. Mowry so far has not returned a message asking him to elaborate on the “many factors” involved besides money. It would be unusual, however, to take a much less visible job on weekend mornings in only a slightly larger market if a sizable pay increase wasn’t part of the deal. Mowry remained on the job at CBS11 Wednesday, taking over most of the 10 p.m. newscast with his extended severe weather coverage. It turned out to be his last day at CBS11, and as usual he excelled. His exit is a significant loss for CBS11, where Mowry had been heavily promoted while establishing long-term credibility as a reliable forecaster during major weather “events.” It can take years to re-establish trust in a chief meteorologist. In a written goodbye to his CBS11 colleagues, Mowry said. “I’ve read a lot of going away emails in my 8 years here at CBS11. I knew one day I would be writing mine, but not on a night with severe weather. CBS11’s 6 and 10 p.m. weekday newscasts will now be without three of their four major anchors in just a little over one year’s time. News anchor Kaley O’Kelley joined the station in January 2015 after mainstay Karen Borta was transferred to weekday early morning newscasts. After a contract impasse, longtime sports anchor Babe Laufenberg left CBS11 in January 2015 and eventually was replaced by Keith Russell. Only news anchor Doug Dunbar remains in place.